When you live in New York City, there are plenty of things you have easy access to from a food standpoint: Momofuku, Roberta’s, Doughnut Plant, and ALL THE BAGELS. What are we missing though? 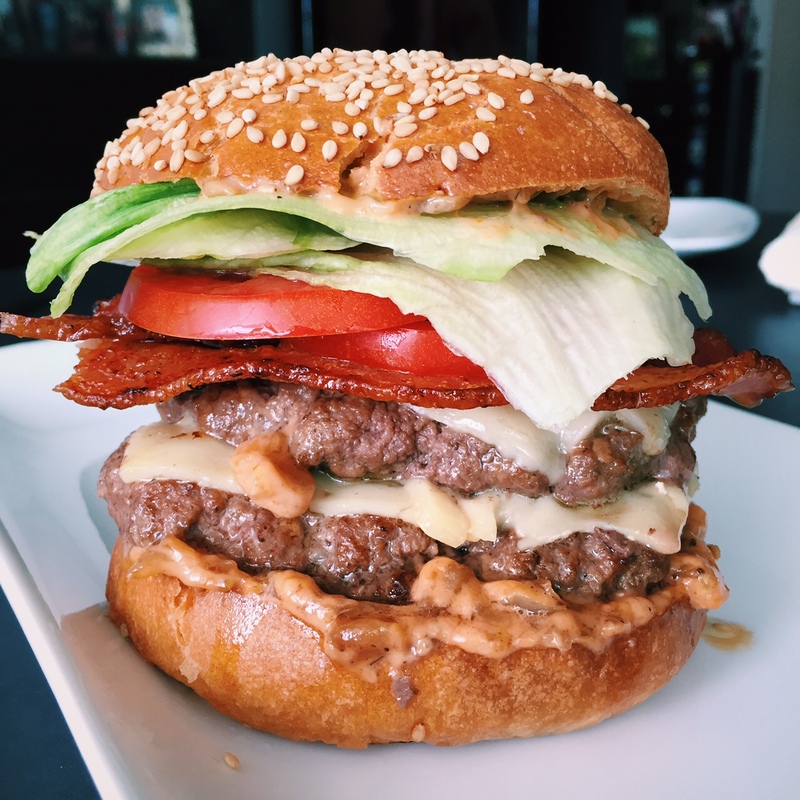 In-N-Out Burger. SHOUT IT FROM THE ROOFTOPS CHILDREN, BECAUSE IT IS WORTHY. I haven’t made a pilgrimage out West in a while, but that’s the only place you can find In-N-Out, just in case you’ve been living under a rock for 10 years and didnt know that. 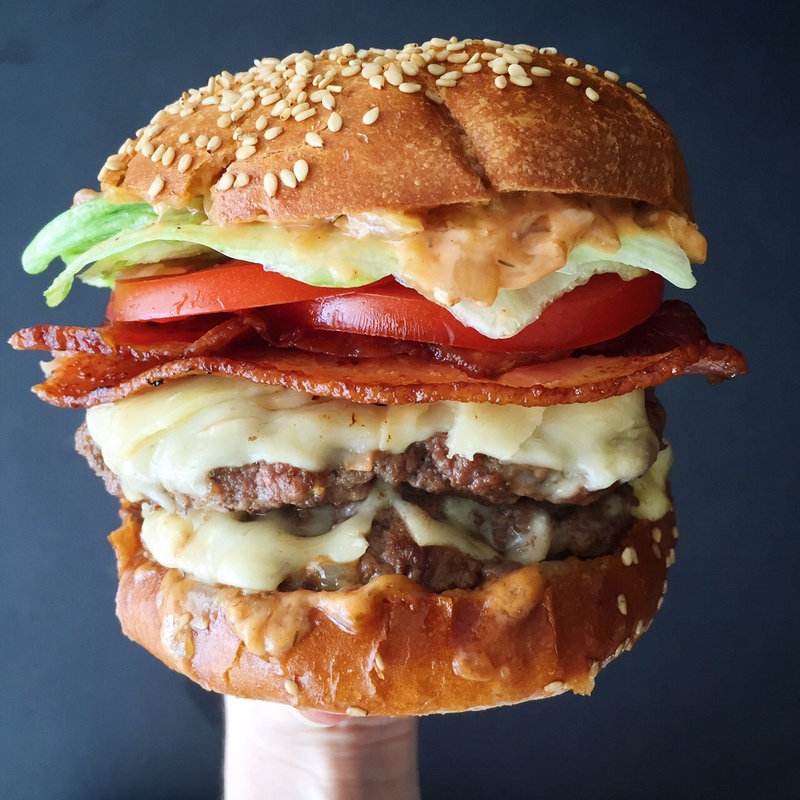 Their burgers have somewhat of a cult following across the US, and there’s a good reason for that: they’re friggin delicious. And anyone who carries their fat around like a proud badge of honor like I do, they know there is only one way to order food at In-N-Out: ANIMAL STYLE. The name isn’t all too descriptive, so let me break it down for you: Animal Style means a ketchup/mayo/relish sauce with grilled (almost caramelized) onions, usually served atop their double double cheeseburger, and you can get your fries animal style too. IT’S EVERYTHING YOU DREAM OF. So…I had to replicate this. 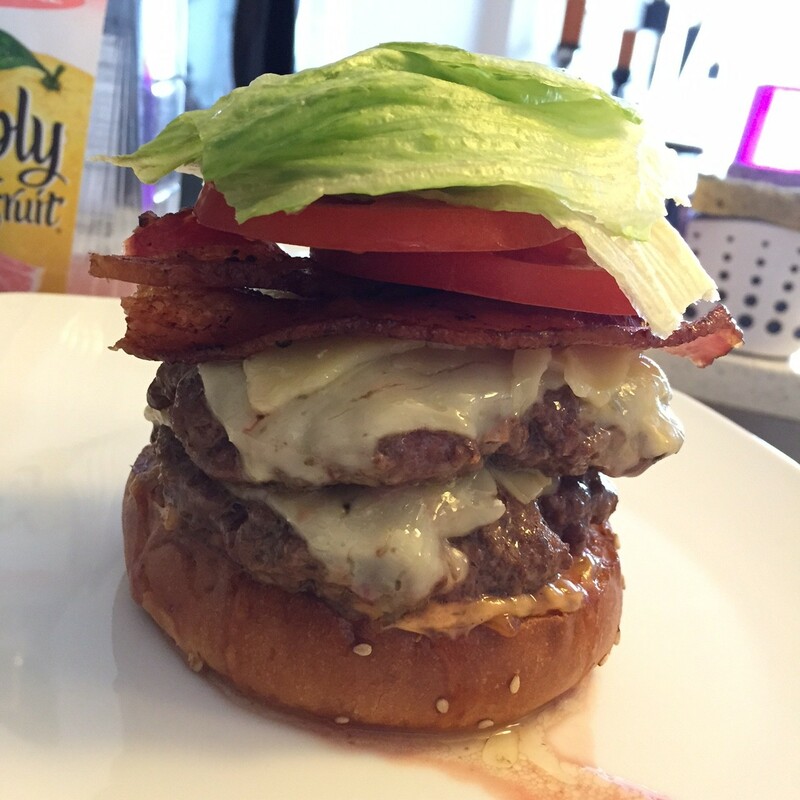 It’s been a while since I’ve made a good burger, so here it is. 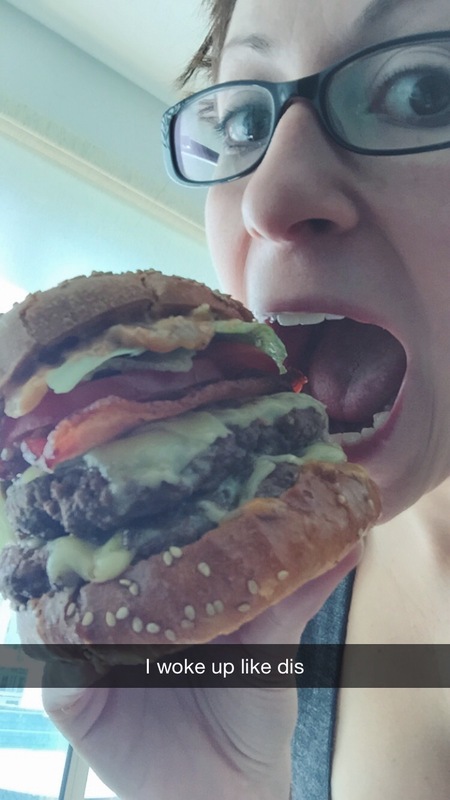 Keep calm, NOM ON. 1. Make the bacon. 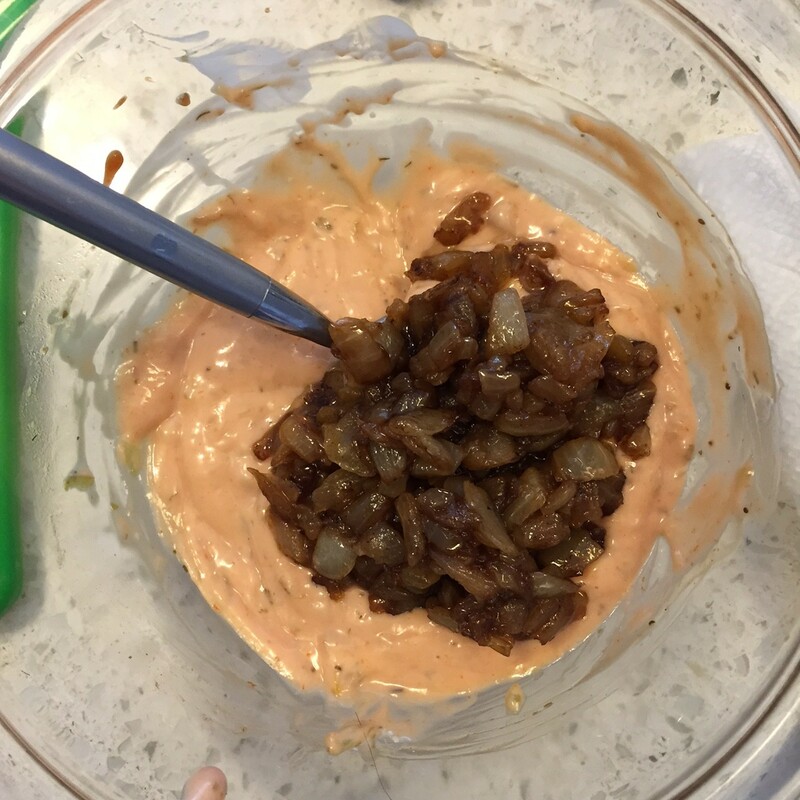 You can always re-heat it later for the assembly of the burger, but we need the bacon fat for the onions. After the bacon is nice and crisp, remove from pan and drain on paper towels. Lower the heat to medium and add the onions. Cook low and slow for 10-15 minutes until they start to get brown. 2. Add water to onions by the tbsp. 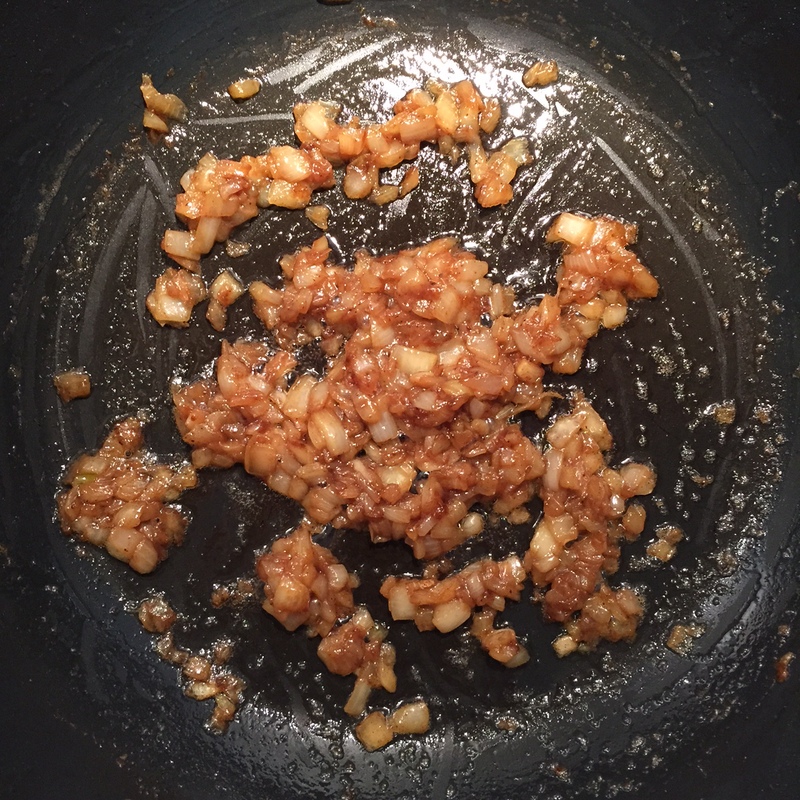 Add 1 tbsp and let the onions absorb the liquid and scrape up any bits from the pan. 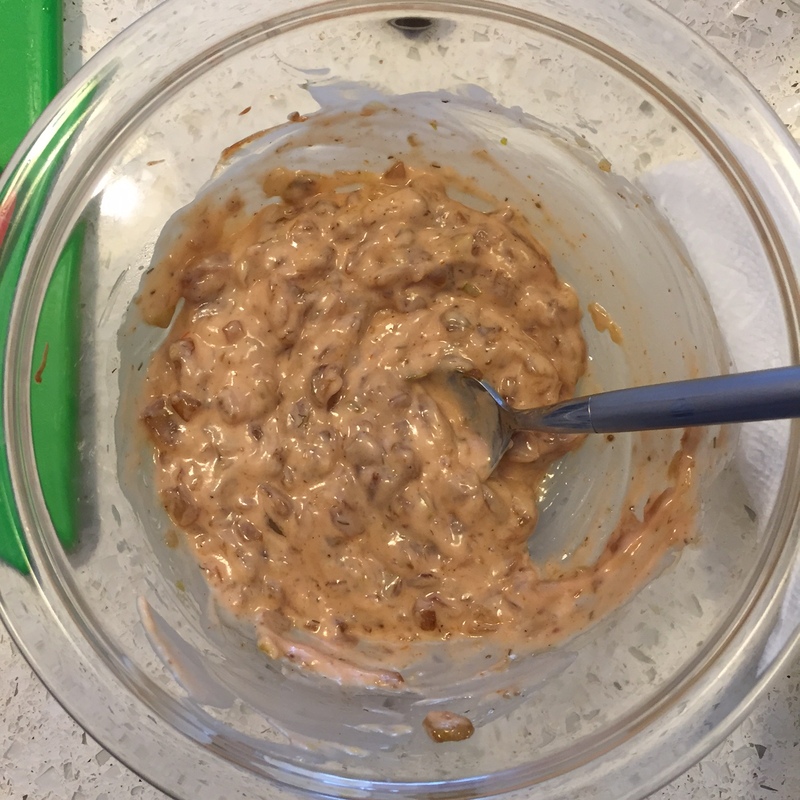 Add another tbsp of water and stir around. The onions should start to look a bit thicker and more jammy. Add the last tbsp. 3. 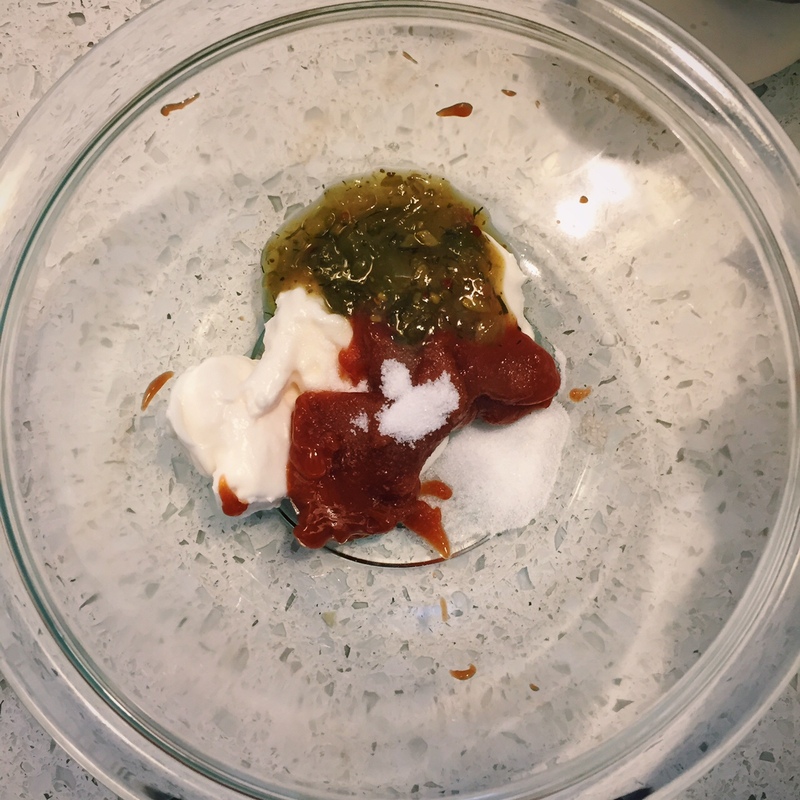 Mix all sauce ingredients together in a medium bowl. Add onions and stir gently together. Beautiful. 4. 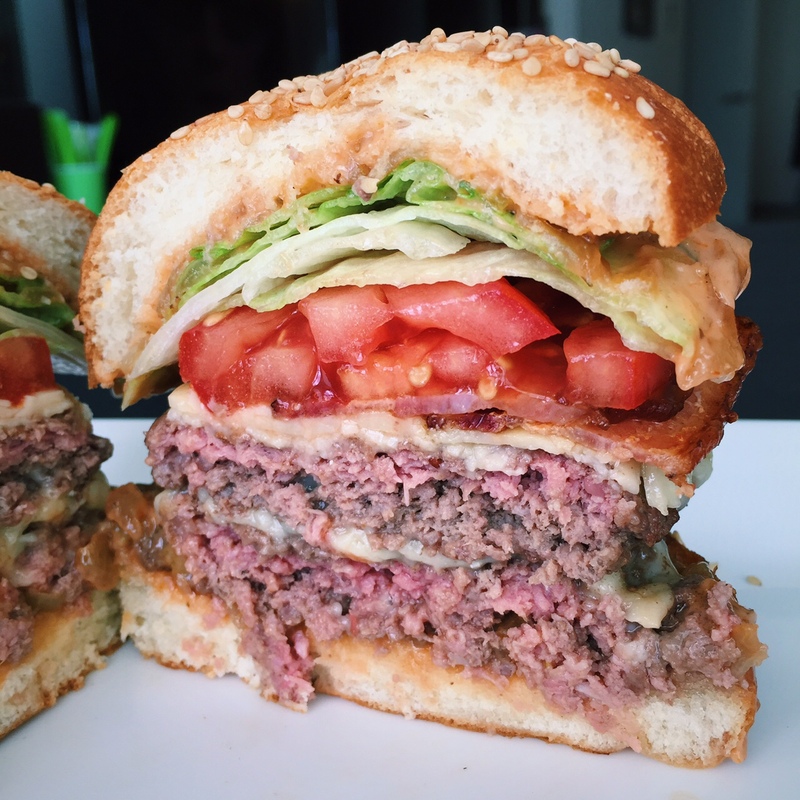 Make burger patties. Put the beef in a large bowl and add the Worcestershire, Flavor God, salt and pepper. Mix together with your hands until seasonings are distributed throughout the meat but try not to overmix. 5. Shape the beef into patties. You should have enough for 4. Make them large and thin. I made mine a bit bigger than the circumference of my palm. 6. Heat your griddle or cast iron skillet (I used cast iron) over medium-high heat. You want the pan nice and hot. Cut the tbsp of butter into quarters. 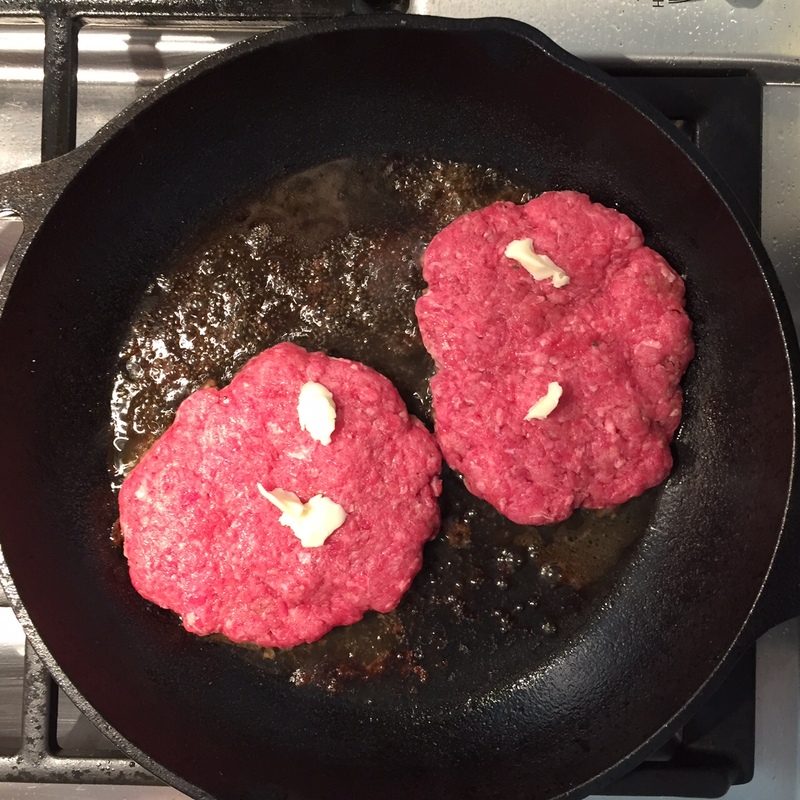 Put two patties in the pan at a time and top with a pat of butter. MMM FAT. 7. Cook for 2-3 mins per side for medium-medium rare. Put cheese on top for last minute or so to melt. Remove from pan and let rest. Repeat with the other two patties. This beautiful photo that captures my essence is brought to you by Snapchat. We want you to come to Tambour Restaurant with up to 3 guests. Let us know if you can come by.